[article_name] => City Filter "L"
[article_name_eng] => City Filter "L"
A City filter alapja a Dynamic aktív szén szövet (DACC), 95% -os tisztaságú szén propilén anyaggal szõve, melyet eredetileg a brit védelmi minisztérium fejlesztett ki a háborús vegyi és baktériumos támadások ellen. A DACC ™ hatékonyan kiszûrni az elsõdleges szennyezõanyagokat a levegõbõl, mint a jármûvek károsanyag-kibocsátása és megelõzi azok légutakba jutását. => The City™ Filter Twin Pack contains two replacement filters for use in the Respro® City™ Mask. The City™ Filter uses Dynamic Activated Charcoal Cloth (DACC) a 95% pure charcoal weave, originally developed by the U.K. Ministry of Defence for use in the protection against chemical and bacteria warfare situations. We use DACC™ to effectively filter out Primary pollutants associated with vehicle exhaust emissions. The DACC™ is laminated with medical grade non-woven polypropylene material which filters particulates from the air and helps prevent them from entering the respiratory system. 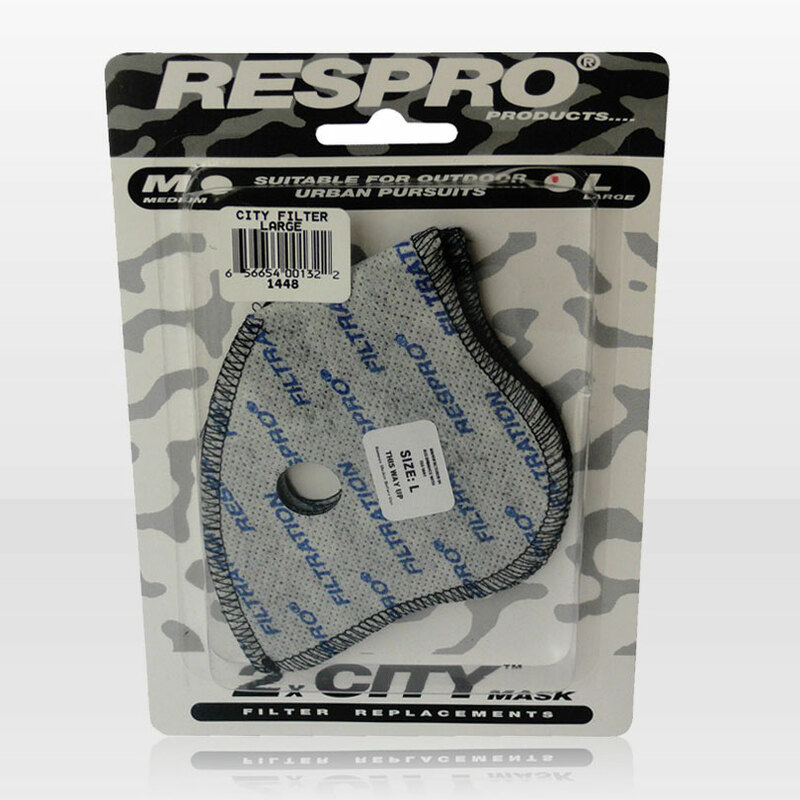 [article_desc_eng] => The City™ Filter Twin Pack contains two replacement filters for use in the Respro® City™ Mask. [article_meta_title] => City Filter "L"